As an agriculture machinery and construction machinery manufacturer and supplier in China, we at YTO have over 50 years of experience in the production and supplying of wheeled tractor, crawler tractor, road roller, excavator, etc. We not only place this experience into the creation of our products but also the service we provide. 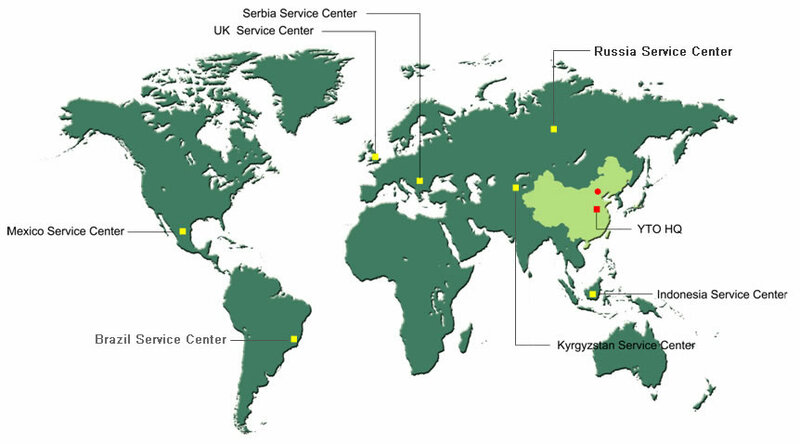 Now we have overseas service centers, branches, assembly factories, and spare parts centers in Asia, Africa, America and Europe. In addition, we have established long-term relationships with over 100 dealers worldwide, and our comprehensive sales and service network extends all over the world, making it easier for customers to purchase our products and acquire spare parts at their convenience. If any quality problem occurs within the warranty period, we provide repair service, free of charge. Please don't hesitate to contact us for more detailed information. We at YTO are confident that you will be satisfied with our products and services.